LiveCode for FM Manual Custom ComponentsHow do I create a custom component? How do I create a custom component? 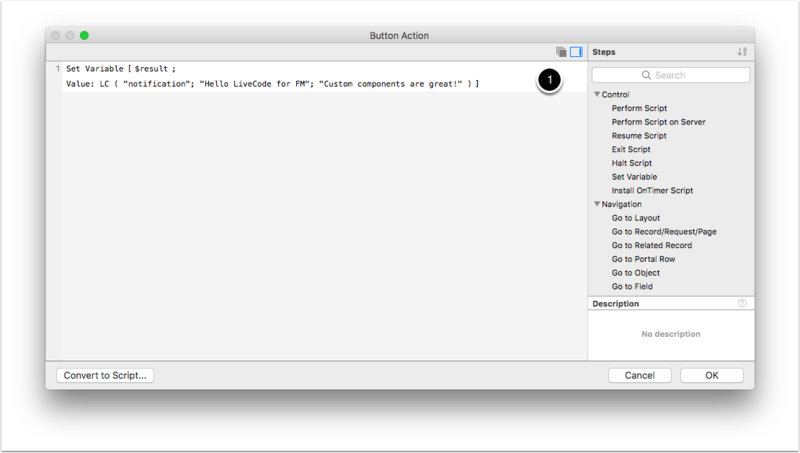 Custom components are LiveCode stack files that have a `FileMakerAction` handler in their main stack script. This is the main event to be handled when the stack needs to do something. 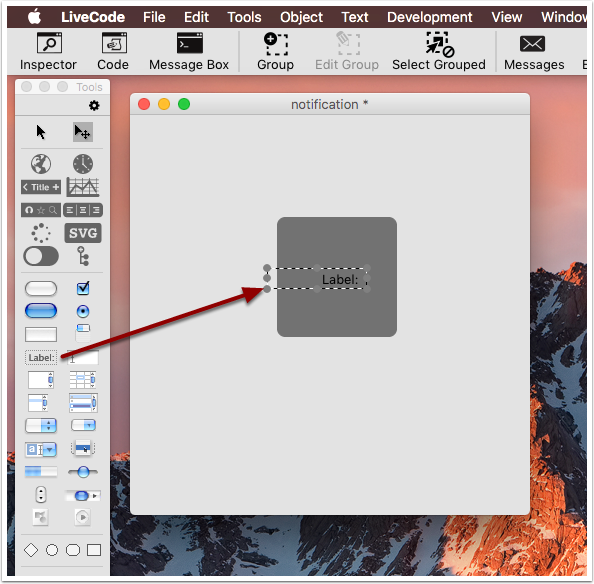 In this lesson we will create a simple notification dialog that stays on screen for a set number of seconds and then goes away. 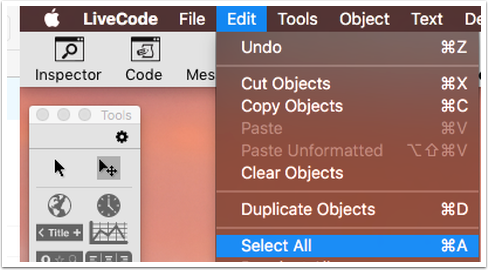 You will need the LiveCode IDE and a copy of FileMaker 14 or 15 in order to complete this lesson. 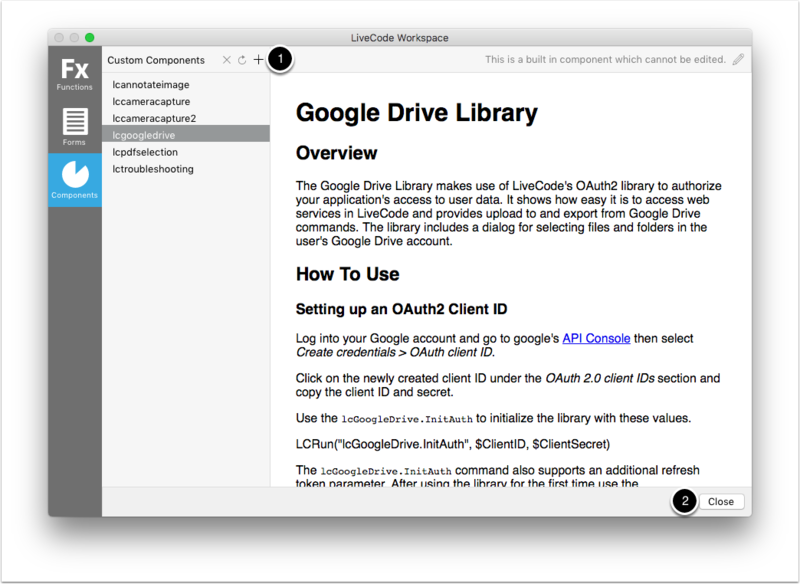 We will be including a customised build of the LiveCode IDE with your plugin download shortly. 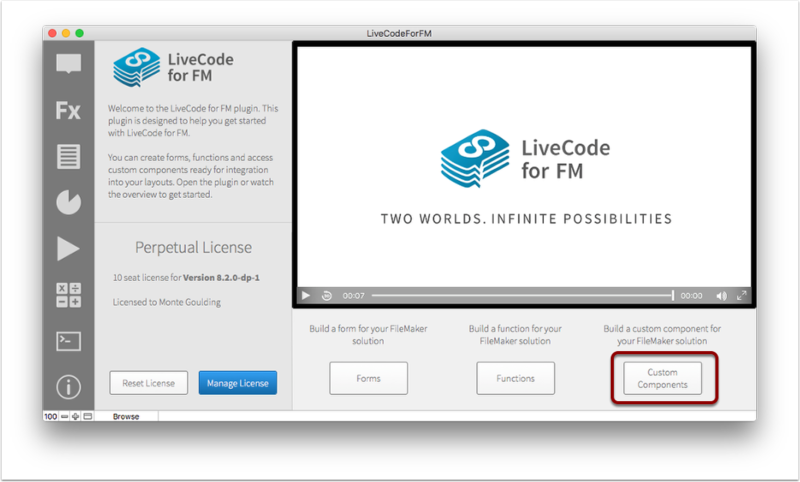 In the meantime, if you don't have a copy of Livecode you can download a free trial from your LiveCode for FM account, here. Once downloaded use your LiveCode for FM email address and password to activate the LiveCode IDE when prompted. The screenshots in this lesson were made with LiveCode 9. There may be some variations depending on the version of Livecode you use to complete the lesson. When placed on your stack it should be selected. 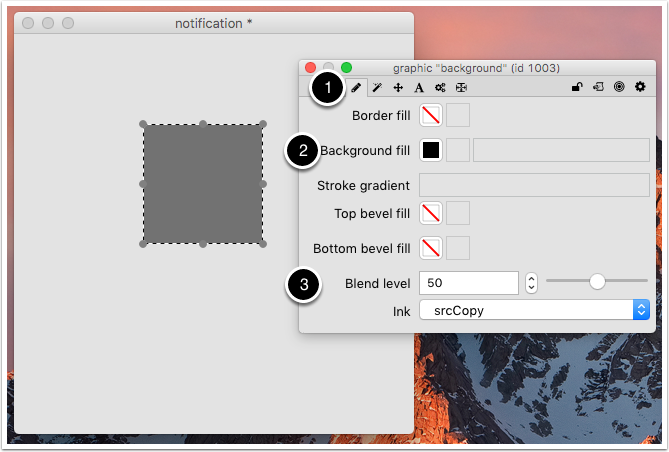 Double-click to open the inspector for the graphic and change the name to `background`. 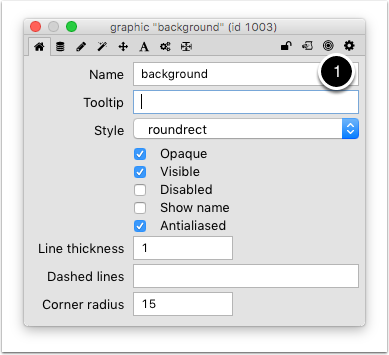 Drag a label style field from the `Tools` palette onto the stack and double-click to open its inspector. 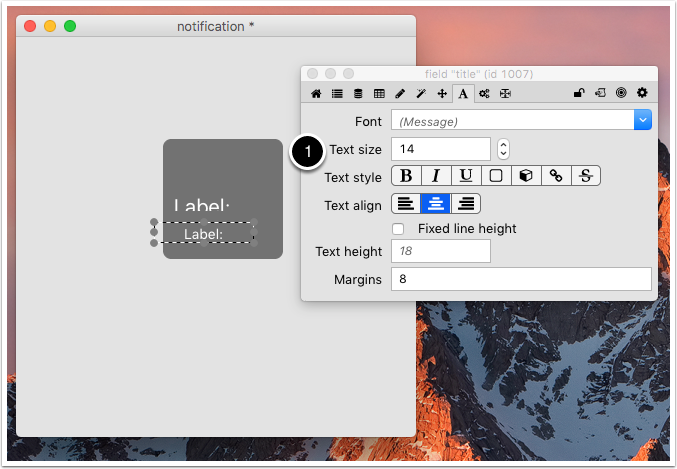 The message field has almost the same settings as the title field with the exception of name and text size. Click on the `title` field and drag away while holding down the `alt` key. This will duplicate the field. 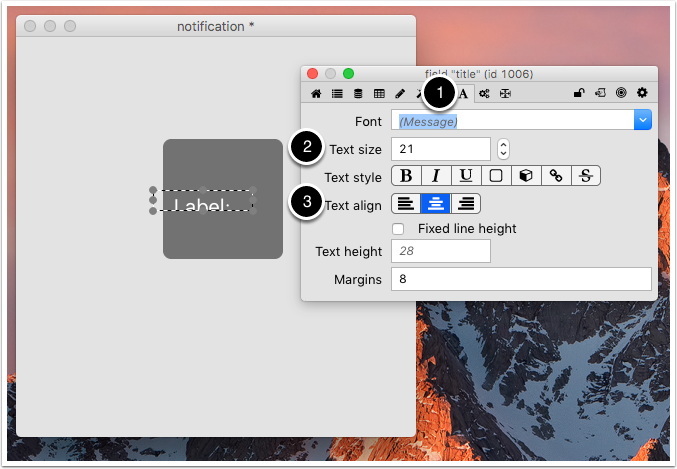 Double-click and change the name to `message` and the text size to 14. Choose `Object > Stack Script` from the menu to open the script editor. All of the code for this stack is in the stack script. 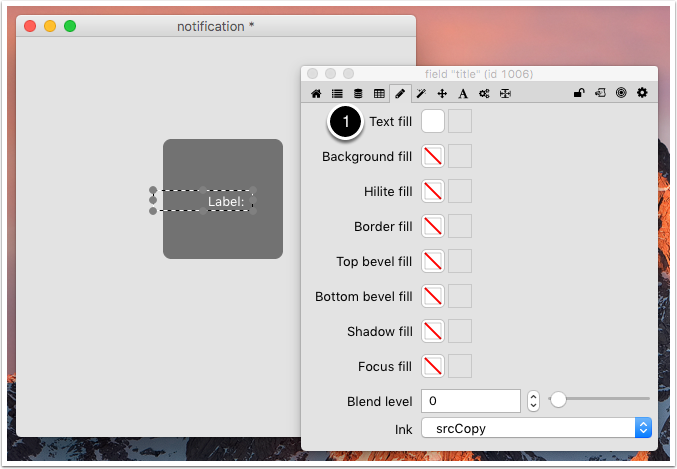 The first thing our script will do is layout the objects on the stack and create a snapshot of the `notification` group to use as a window shape. It will do this by handling the `preOpenStack` event which is sent by LiveCode just before the stack is presented on screen. set the width of field "message" to the width of field "title"
set the height of field "message" to the formattedHeight of field "message"
set the topLeft of field "message" to the bottomLeft of field "title"
set the height of this stack to the height of group "notification"
set the width of this stack to the width of group "notification"
import snapshot from group "notification"
set the name of the last image to "windowshape"
set the windowShape of me to the id of image "windowshape"
The next step is to add the `FileMakerAction` handler to the stack script. put fmParam(1) into field "title"
put fmParam(2) into field "message"
The stack is now complete and just needs to be imported into LiveCode for FM as a custom component. 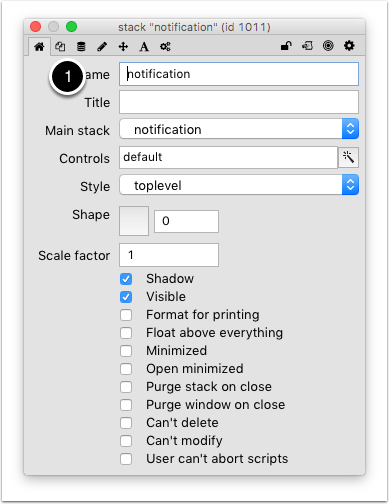 Save the stack in a location you can remember and open the LiveCode for FM solution and click on the `Custom Components` button. 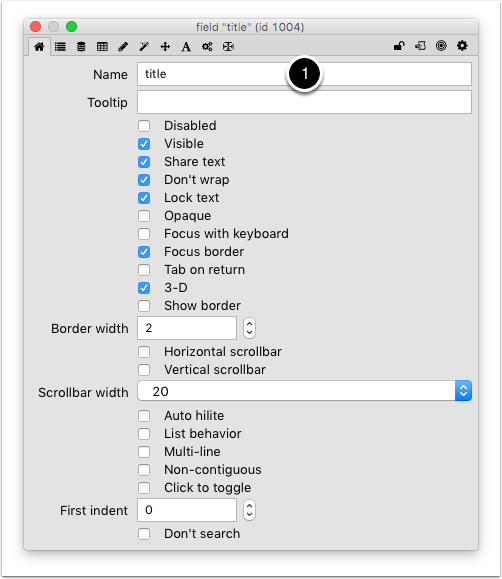 Enter layout mode if not already by clicking on the `Edit Layout` button. 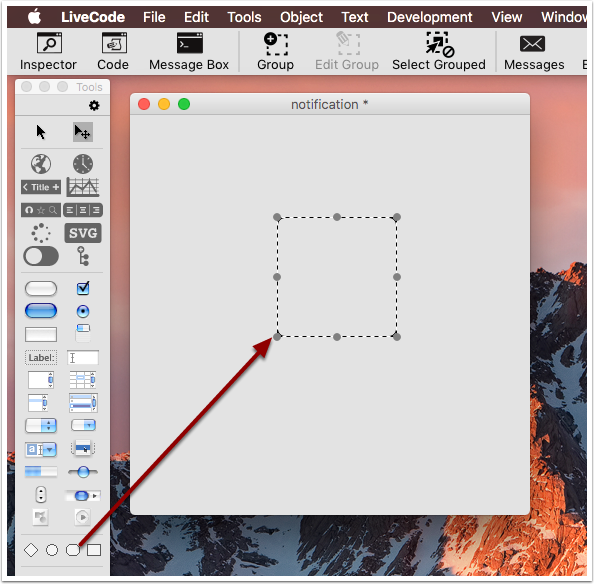 Add a button to the layout by choosing the button tool and dragging on the solution to draw the button. 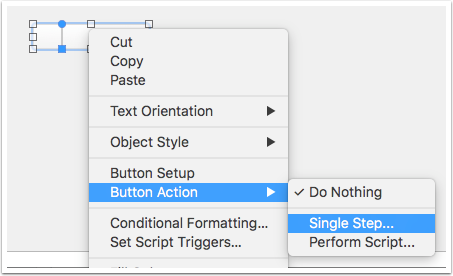 With the button selected right click and choose `Button Action > Single Step..` to open a script step editor for the button. Return to `Browse` mode and click on the button and you should see something like the animation below. 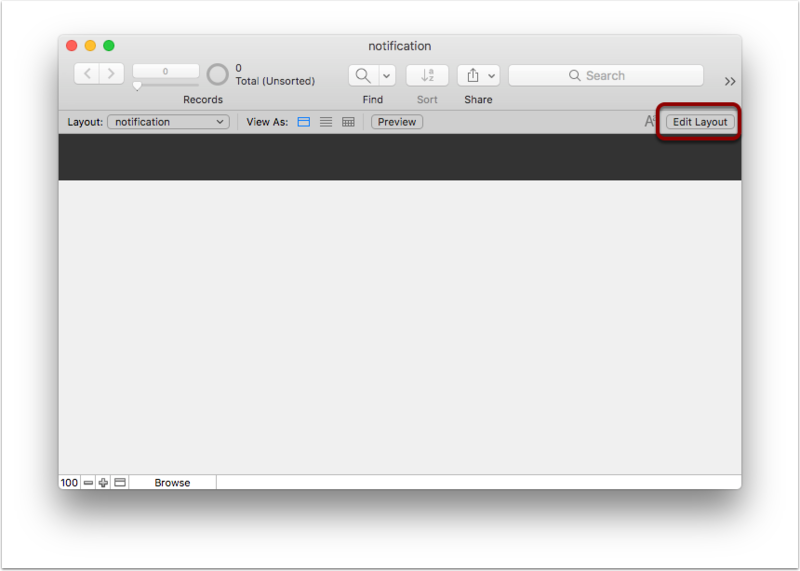 Next: How do I access FileMaker data in my Custom Component? How do I use a built in function? How do I use a built in form? How do I use a built in custom component? How do I include LiveCode for FM in my solution? How do I use a built in function in my solution? How do I modify a built in function? How do I create a function? How do I draw SVG paths to an image? How do I watermark an image? How do I mask an image with an SVG path? How do I use the PDF Selection dialog? How do I access FileMaker data in my Custom Component? How do I load a font? How do I create a gauge? How do I return a value to FileMaker? How Do I collect user signatures? How do I validate an email address? How do I check if a UK NI number is in the correct format? How do I validate the contents of a field? How do I generate a progress bar in a calculation field?